JOBMAN Workwear has done it again! Now with new technology for your feet. These NEW Coolmax socks are designed to keep your feet cool during a hot workday. They are a unique blend of fibers that help keep your feet cool during those long hot workdays. The heel is reinforced to provide long lasting comfort. These socks will help wick away moisture and perspiration from your feet. JOBMAN's Coolmax Ventilation Socks energy absorbing sole reduces impact and protects your feet. The breathable construction also transports moisture away from your feet and reduces the risk of chafing and blisters. They have a thinner knit for optimal fit and comfort without irritation. 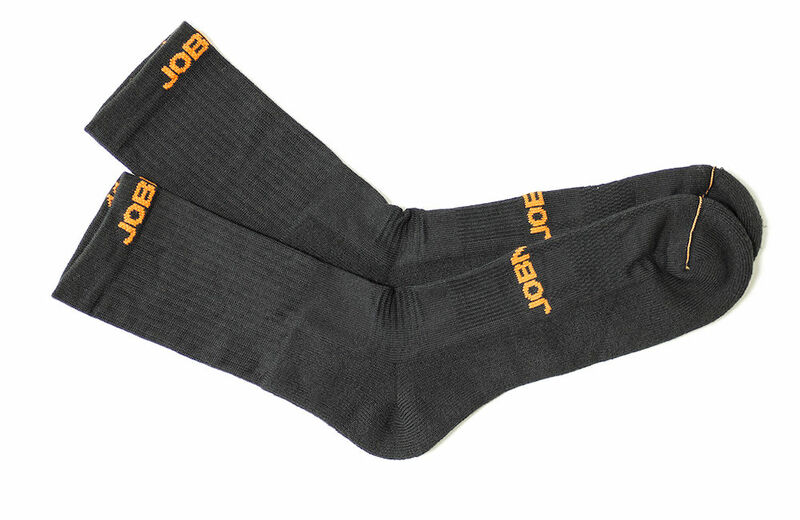 The socks are soft and comfortable, yet durable enough to last through a long workday on your feet. Available in 3 sizes - Medium, Large, and Extra Large. Their 7 inch height will stay in place despite heavy activity and have an excellent fit. These Coolmax socks have a moderate sock thickness will feel great on your feet. The Terry reinforced sole provides extra protection and cushioning. Try these new JOBMAN Workwear COOLMAX socks today. Your feet will thank you! Material: 72% polyester, 27% polyamide, 1% elastane. when your on your feet all day in work-boots your feet are tough on socks, so to find a good quality sock that don't break the bank is a score. and the Technical socks score on all fronts, they help keep feet dry, they are well cushioning with out being bulky, and from what I can tell they wear well. I did find the socks to run a little small, I wear a size 12 (U.S.) boot, I bought the size 10 -12 sock the fit is not bad, just on the snug side, next order I will be getting the next size up.